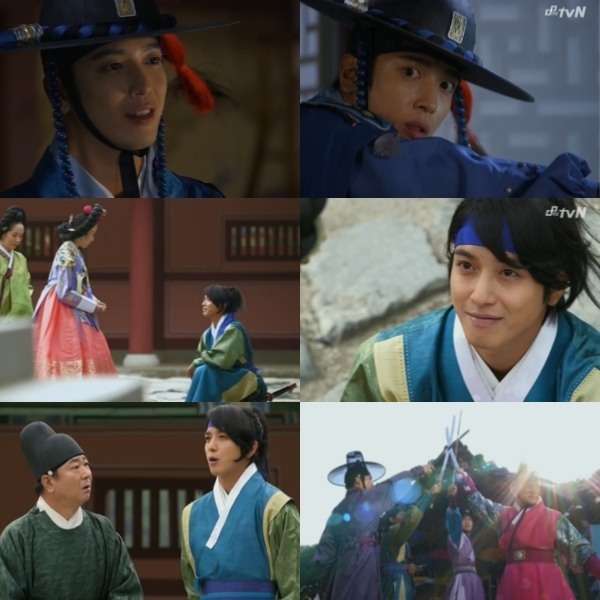 Singer-actor Jung Yong-hwa has been a hit with critics and viewers for his splendid acting in the drama “Three Musketeers,” according to news reports Sunday. Jung has been playing Park Dal-hyang in the tvN’s drama. A Korean version of d‘Artagnan in Alexandre Dumas’ famous novel, “Three Musketeers,” Park Dal-hyang is a gregarious swordsman with an optimistic outlook. The character shows his bold moves even when he falls in love. As playing the role of the complex character, Jung has surely proved his talent close enough to be compared with other veteran actors. “Three Musketeers” was planned to be made as a trilogy and only two episodes of the first part remain now. The drama airs every Sunday on tvN.